Focusing his work at the intersection of innovation and economic development, Efosa Ojomo is on a mission to use business to alleviate poverty and create prosperity. An alumnus of the prestigious Forum for Growth and Innovation Center at the Harvard Business School (HBS), Ojomo works alongside colleague and mentor Professor Clay Christensen in their shared goal to discover, develop and disseminate robust and accessible theory in the areas of disruptive innovation and general management as it relates to economic development. Ojomo’s body of work will ultimately help entrepreneurs, policy makers and development practitioners spur prosperity in their regions. Specifically, Ojomo’s research examines how emerging markets in sub-Saharan Africa, Central and South America, and Asia can engender prosperity for their citizens by focusing on investments in market creating innovations, such as M-PESA, the mobile money transfer platform in Kenya. These innovations, which transform complicated and/or expensive products into simpler and less expensive products for populations who historically could not access them, are unique for their ability to spur long-term economic growth and create employment, a necessary condition for economic development. Ojomo, who came to the U.S. from Nigeria to attend college, worked as an engineer and in business development for National Instruments for eight years following graduation. He soon realized his purpose was much larger than himself. Inspired by a young Ethiopian girl’s story of debilitating poverty, Ojomo started the nonprofit Poverty Stops Here. Since then, he has rallied hundreds of people around his vision and touched the lives of hundreds more. But his ambition is to transform lives; his work at HBS is getting him closer to that goal. Born in Nigeria, Ojomo knows first-hand the effects of poverty. He leverages his personal experiences and marries them with his research. A zealous learner and passionate teacher, he is as inspirational as he is informative. Ojomo graduated with honors from Vanderbilt University with a degree in computer engineering. He earned his MBA from Harvard Business School. Euler Bropleh founded VestedWorld in 2014, envisioning a smarter, more effective model for spurring sustainable economic growth in underserved regions. A Liberian native educated in the U.S. and abroad who has traveled extensively throughout Africa, Asia and Europe, Euler understands firsthand the potential for capitalism to transform the developing world and improve the lives of people living in those regions. As a lawyer, he specialized in venture capital, private equity and merger and acquisition transactions with leading international firms Latham & Watkins and Vedder Price, representing Fortune 100 companies and private equity and venture capital firms, as well as emerging businesses worldwide. He has been an angel investor in several early stage businesses in Sub-Saharan Africa. As Managing Director of VestedWorld, Euler thoughtfully seeks out, vets and structures deals with early stage companies poised to achieve significant growth and impact in emerging markets, and works with those companies to ensure their growth and success.Euler ho lds a J.D. from University of Chicago Law School, where he was a Donald E. Egan Scholar and the recipient of the Ann Watson Barber Outstanding Service Award. He was also a Robert T. Jones Scholar at the University of St. Andrews (Scotland), where he earned a Graduate Diploma in International Strategy and Economics. He earned his B.A. in International Studies from Emory University, where he was a Sonny Carter Scholar. He lives in Chicago with his wife Ebba and their dog, Mr. Rocco Bojangles. Dr. Oliver Merkel is a Partner of Bain & Company and leads the firms’ Consumer Products & Retail practice in Africa. He has more than 16 years of experience in top management consulting, working with leading FMGC companies and retailers to develop innovative business models to better serve African consumers. Oliver has worked in more than 15 countries in Africa and now lives with his family in Johannesburg. During his last sabbatical he helped building an USD 100m ecommerce company for beauty products from scratch. He is an active investor in startup companies, a frequent speaker at conferences and the author of multiple reports on Africa. Oliver holds a Ph.D. in economics from the University of St. Gallen in Switzerland. In his free time, he is passionate about travelling and scuba diving. Wale Ayeni leads the IFC's Venture Capital practice focused on Africa, South of the Sahara - the International Finance Organization is part of the World Bank Group. The IFC's Venture capital team invests in technology companies in frontier markets and has $1BN AUM. Wale has a global technology experience spanning several roles including Venture Capital, Investment Banking, Corporate Development, and Microprocessor & ASIC chip design. Prior to the IFC, Wale led venture capital early-stage investments in disruptive startups across various technology sectors for Orange in Silicon Valley with representative investments in the US including PayJoy(FinTech), Veniam(Mesh Networks), Chain (Blockchain), WEVR (Virtual Reality). He also led transactions on behalf of EchoVC (an early-stage Pan African tech fund) in Hotels.ng, and Printivo. Wale started his finance career with J.P. Morganís Technology Investment Banking group in San Francisco where he successfully executed over $12BN worth of closed transactions spanning mergers & acquisitions to IPOs for large-cap technology clients including Facebook, Electronic Arts, Activision Blizzard, Intel Corp., AMD, Shutterfly, etc. Wale started his career as an Engineer, and in his previous technology career Wale was a microprocessor design Engineer with Intel Corp. where he led critical aspects of Intel's "CSI" chip architecture - the biggest micro-architecture change in Intel's history. He also led aspects of the very first "Snapdragon" chipsets working at Qualcomm Inc.ís chip design center enabling the initial smartphone designs. Wale has an MBA from Dartmouth College, and his Bachelorís degree with distinguished ìRed diplomaî from Moscow University. He is a Kauffman Venture Capital Fellow and a recipient of the top global 100 Rising Stars award in Corporate Venture. Eric Osiakwan, Managing Partner of Chanzo Capital is an Entrepreneur and Investor with 15 years of ICT industry leadership across Africa and the world. He has worked in 32 African countries setting up ISPs, ISPAs, IXPs and high-tech startups. He Co-Foundered Angel Africa List, Angel Fair Africa and currently serves on the board of Farmerline, Forhey, Teranga Solutions, Siqueries, Amp.it, SameLogic, Wanjo Foods, Ghana Cyber City and WABco – some of which are his investments. He has founded and built companies and organizations including GNVC, GISPA, AfrISPA, Internet Research, InHand, PenPlusBytes, African Elections Portal, FOSSFA and Ghana Connect. He was part of the team that built the TEAMS submarine cable in East Africa and an ICT Consultant for the WorldBank, Soros Foundations, UNDP, USAID, USDoJ, USDoS as well as African governments and private firms. He authored “The KINGS of Africa’s Digital Economy”, co-authored the “Open Access Model”, adopted globally by the telecommunications industry, “Negotiating the Net” – the politics of Internet Diffusion in Africa and “The Internet in Ghana” with the Mosaic Group. He was invited to contribute ideas to Prime Minister Tony Blair’s Commission for Africa. Eric is a Stanford, MIT and Harvard fellow. Adam Ikdal is a senior partner and has more than 20 years experience in BCG. He has previously worked in BCG’s Oslo, Stockholm and New York offices. He is currently the managing partner of BCG South Africa and is also part of the BCG Africa Leadership team. He is the lead partner for two of the largest infrastructure programs in Africa. He also leads the relationship with many of the leading global Multi National Companies in addition to large companies in Africa. A specific focus area is also serving international and regional PE players who are looking to tap into the huge potential on the continent. He is the author of many reports on doing business in Africa (e.g. "dueling with Lions", "managing the downturn in Africa", "the future of South Africa") and a frequently used speaker in media and conferences. Founder and Chief Executive Officer of Symbion Power, Paul Hinks is the driving force behind the company. He has spent the past 39 years working in the power sector and for much of that period, has worked in Africa. Paul is also the Chairman of Invest Africa USA, the largest membership platform providing access and investment for the private sector to the continent, with leadership in London, New York, Washington, DC, Dubai, Geneva, Lagos and Johannesburg. He is a board member of Engender Health, a major US women’s health organization operating in 20 countries around the world. From 2012 to 2016 Paul was the Chairman of the Corporate Council on Africa, the Washington based organization that promotes trade and investment between the United States and Africa. Symbion Power is a US Independent Power Producer and Engineering Company based in Washington, DC that builds, owns and operates electricity infrastructure in the Middle East, Africa and Asia. Invest Africa was founded in 2013 as a platform for business leaders, investors, and entrepreneurs to gain insight and exposure to information and opportunities from Africa. Invest Africa is a network of decision makers at top global organizations, fund managers, private investors, family offices, entrepreneurs, and policy makers – all with a common interest in Africa. Ameel Somani is a Principal at Helios Investment Partners - an Africa focused private equity firm with greater than $3 billion of assets under management and investments in 30 African countries. Prior to Helios, Ameel worked in investment banking and private equity in New York and Toronto. Ameel holds a dual degree in Chemical Engineering and Economics from Queen's University and an MBA from Harvard Business School. Ameel is a director of Wananchi Group Holdings (East African telecommunications platform), Acorn Holdings (Kenyan youth housing platform), and Telkom Kenya (Kenyan mobile and fixed telecommunications operator). Stephane Le Bouder, Managing Director. Prior to joining AFIG Funds, Stephane served as Deputy Assistant Secretary for International Affairs at the US Treasury Department Office of Legislative Affairs in Washington DC. A political appointee, he worked with senior Treasury and White House officials to advance the Obama Administration’s international financial and development agenda in Congress. Prior to that, he worked for the US Congress as Staff Director for the House Financial Services Subcommittee on International Monetary Policy and Trade. As senior committee staff, under the leadership of Chairman Barney Frank (Massachusetts), Stephane helped draft the landmark Dodd-Frank Wall Street Reform Act. Under the leadership of Subcommittee Chairman Gregory Meeks (New York), he was responsible for congressional oversight of US engagement with multilateral institutions. Prior to working for the US Government, he worked for MyC4, a Danish technology startup building an online peer-to-peer microfinance lending platform dedicated to Africa. Stephane also worked for Chatham Financial, in Pennsylvania, advising regional and community banks across the US on identifying, modeling and trading interest rate risks. He started his career at the Corporate Executive Board in Washington DC, advising Fortune 500 clients on Treasury function best practices. 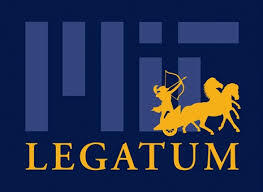 He holds a BA and MA in Economics from McGill University, and an MBA from Harvard Business School. He holds both French and American citizenships. Saqib Rashid joined The Abraaj Group in 2006 and is currently a member of the firm’s North America Investor Engagement team. Prior to his current role, Mr. Rashid served for 8+ years as part of the firm’s investment team covering the Middle East and Southeast Asia. Prior to joining Abraaj, Mr. Rashid was a member of the investment team at Spring Capital Partners, where he focused on providing mezzanine capital to small and medium sized businesses in the U.S. Mr. Rashid started his career at General Electric as part of the company’s Financial Management Program. Mr. Rashid holds an MBA degree from The Wharton School and an MA degree from The Lauder Institute at the University of Pennsylvania. He received his BBA degree (with honors) from The George Washington University. Mr. Rashid is a former U.S. Fulbright Scholar (2003) and a Kauffman Fellow (class 16). Temilade (Temi) ABIMBOLA, is a Lead Advisor to the Senior VP of the African Development Bank (AfDB) where she is part of the team working on the Bank’s African Transformative Agenda and the implementation of the Bank’s Ten Year Strategy, through its High 5s (which focus on ‘Light up Africa’; ‘Feed Africa’; ‘Industrialize Africa’; ‘Integrate Africa’; and, ‘Improve Quality of Life in Africa’. Prior to her current role, she was the Division Manager for Program Design & Development Division of the African Development Institute at the AfDB. Before joining the AfDB, she was an Associate Professor at Warwick Business School, The University of Warwick, England; and an Adjunct Professor of Quantitative Analysis for Decision Making at CEIBS (China European University), Accra Ghana. She holds a PhD in Management Science, from Aston Business School, Aston University, UK. Prior to embarking on her career in academia, she had worked with Shell UK (Downstream Oil) as part of the UOTS team; at the Corporate Relations Department at the HQ of Unilever Plc (UK); her further work experience include those at the British-American Chamber of Commerce (UK); the Crown Prosecution Services (UK), among others. In addition to her industry experience in the areas of corporate strategy; organizational identity and reputation; market and competitive analysis; she has acted as consultant for numerous FTSE 250 companies including, Cadbury/Schweppes, Barclays Plc. (UK); Santander Bank (formerly Abbey Plc. ); public organizations including BBC Radio; BBC News 24; governmental institutions such as the Government of Botswana (Department of Education), theEuropean Union and, Department of Trade and Industry (DTI) in the UK. Dr. Abimbola is a topical speaker on Africa’s financial and economic development at various fora including as an invited speaker at Harvard Business School (February 2011) on African Economic Development and its Relationship with China; invited by prestigious Wilton Park Centre as participants at the meeting of Central Bank Governors, Minister of Finance (among others) on African Economic Development and Risk (July 2010). She is a UK Financial Services Authority (FSA) Certified Director and has extensive practice experience with ‘Communisave’, on not-for profit, participatory, interest free organization, in the UK. Temi is a member of the Royal Institute of International Affairs (Chatham House); Institute of Economic Affairs and Royal African Society. Prof. Lyal White is the director of the Centre for Dynamic Markets (CDM) at the Gordon Institute of Business Science (GIBS), where he is an Associate Professor in political economy and International Business in Africa, Asia and Latin America. Prof. White has held various senior research positions in the past and was a Visiting Scholar at the Centre for Latin American Studies (CLAS) at UC Berkley. He has also lectured at a number of universities around the world including University of Cape Town, Universidad de Los Andes in Colombia, Science Po – Bordeaux, France, the Kelly School of Business, Indiana University and Al Akhawayn University in Morocco, and is a regular lecturer at CEDEP in Fontainebleau, France, and Strathmore Business School in Kenya. His advisory work focuses broadly on strategy and political economy in Africa and Latin America for clients across a range of sectors and geographies around the world. Committed to enhancing cultural understanding and building commercial and political ties between Africa and the world, Prof. White is of the firm belief that a combination of strong institutional and cultural understanding will harness development and long-term prosperity. His research interests are focused on understanding the nature and role of MNCs in emerging regions, particularly African-based businesses. Prof. White completed his PhD in Political Studies at the University of Cape Town. He has published extensively, most recently as co-editor of the Academy of International Business (AIB) Sub-Saharan Africa Book series with “The Changing Dynamics of International Business in Africa” (Palgrave Macmillan, 2015) and “Africa-to-Africa Internationalization: Key Issues and Outcomes” (Palgrave Macmillan, 2016). He is also the author of the bi-annual GIBS Dynamic Market Index (DMI). John Macomber is a Senior Lecturer in the Finance Unit at Harvard Business School. His work focuses on the private finance and delivery of developing country public infrastructure projects. These include transportation, renewable energy, water/sanitation, and real estate investments that speed economic development, reduce environmental impacts (notably air and water pollution) and facilitate individual opportunity. His teaching combines infrastructure finance (including public private partnerships), economic development, and urban planning as well as the impact of technologies like ubiquitous sensors, internet of things, mobile money, big data and analytics, improved filtration, and autonomous vehicles. 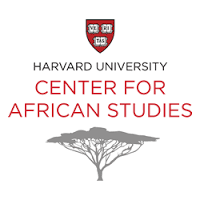 Mr. Macomber is a member of the Executive Committee of the Harvard Center for African Studies. Before joining the HBS faculty he was a principal in real estate and construction firms. James Irungu Mwangi is Executive Director of the Dalberg Group, a collection of impact-driven businesses that seek to champion inclusive and sustainable growth around the world, and a Partner with Dalberg Global Development Advisors. Mr. Mwangi founded and built up Dalberg’s presence in Africa, beginning with the Johannesburg office in 2007, Nairobi in 2008, and Dakar in 2009, and he served as Global Managing Partner from 2010 to 2014.As a consultant, Mr. Mwangi’s clients have ranged from heads of state to senior leaders of multilateral organizations and foundations. He has also advised chief executives and investors on the intersection of commercially attractive and socially impactful business in frontier markets, particularly in Africa. Prior to Dalberg, Mr. Mwangi worked at McKinsey & Company. He is a 2009 Archbishop Tutu Leadership Fellow of the African Leadership Institute and serves on the Institute’s board. He is also a 2013 Young Global Leader of the World Economic Forum and currently serves as a member of the United Nations Entrepreneurs Council of the UN Foundation. Mr. Mwangi holds a BA in economics from Harvard University and is based in Johannesburg South Africa. Janade is an investment banker, entrepreneur and human behavioural researcher. He is the Founder and Chief Executive of Abrazo Capital, underpinning his passion for development and uplifting communities throughout Africa. Abrazo Capital has three main subsidiaries, all which focuses on disruptive social impact in Africa, which include Fund Management, Investments and designing Social Impact Programs focused on social and economic upliftment of rural communities in sub-Saharan Africa. Abrazo Capital has a strategic partnership with Marang Global Capital, where Janade services as the Chief Operations Officer and Head of Private Equity. Marang Global Capital is a diversified investment company focused on sustainable investments in Healthcare and Infrastructure development. Previously Janade held various positions in Development Finance, Investment Banking, Corporate Finance, Marketing and Strategy Consulting and has worked in Johannesburg, London, New York, Lagos, Paris and Abidjan. As Chief Investment Officer and Head of Business Development at the African Development Bank based in Cote d’Ivoire, Janade was able to leverage his skills to focus on Private Sector Development in Africa, across a variety of key infrastructure sectors including mining, oil & gas, agribusiness, healthcare, housing and tourism. He has worked at a number of international Investment Banks within Corporate Finance & Advisory. He serves on the Board of Directors of a number of companies and Impact Funds. Janade is an Executive Coach with the International Coaching Federation (ICF). In this role, he runs a practise that mentors entrepreneurs and business leaders to establish and achieve goals in their personal and professional lives. Janade’s passion for community development and investment is the primary reason for establishing Abrazo Capital, disrupting social impact by investing in the development of entrepreneurs and sustainable businesses throughout Africa. Janade holds a Master’s degree in Mathematical Economics, Master’s degree in Finance and an MBA. He is currently pursuing a PhD in Human Behavioural Sciences, researching vulnerability and the impact it has on leadership and decision making. Ian Ross' Insurance career spans 35 years, 17 of which have been with Hollard insurance, a leading and innovative privately owned South African Insurance group. As well as being an Executive Director of Hollard Insurance, he holds the position of Group Chief Underwriting Officer and is also responsible for the International expansion strategy of the group. Ian is an integral part of the company’s initiatives aimed at accelerating the growth and advancement of the insurance industry in developing markets and specifically deeper interaction between the financial services industries of the BRICS nations, with emphasis on reinsurance. Ian is also involved in developing innovative business solutions which have high positive social impact, such as the Social Impact Insuranceplatform, which facilitates greater access to funding for global initiatives designed to ease the plight of the vulnerable poor and brings greater flexibility and risk management to Development Organisations and key players in the value chain. Dr Ntuthuko Bhengu is a panelist of the Health Market Inquiry which, in 2014, was set up by the Competition Commission of South Africa (SA) to probe the private health sector holistically to determine factors that restrict, prevent or distort competition and underlie increases in private healthcare prices and expenditure. He is also the health expert on the SA National Planning Commission and a Chartered Director (SA) with many years’ experience as a non-executive director. He currently chairs the board of directors of the SA Road Accident Fund and has just completed a term of eight years as a board and advisory committee member of Nestle (SA) (Pty) Ltd.
Dr Bhengu obtained the MB,ChB degree from Natal University and the Diploma in Anaesthetics from the College of Medicine of SA. His business management qualifications include MBA (Wales, Cardiff) and MPH Healthcare Management (Harvard) degrees. The Harvard degree gave him an in-depth understanding of global health care policy and management of corporations in pharmaceutical, biotechnology, hospital and health insurance sectors. Over a career of more than 20 years, Dr Bhengu has operated as a clinician in England and in various senior executive roles within the SA health care sector. Dr Bhengu’s entrepreneurial path includes experience as a co-founder of Afrika Biopharma Investments (Pty) Ltd, a holding company which had interests in pharmaceutical packaging, marketing and sales. From a very low base, Biotech Laboratories (Biopharma’s marketing and sales subsidiary) grew revenues more than twenty fold over a period of ten years and was eventually acquired by a multinational pharmaceutical manufacturing company. Among other non-executive appointments, Dr Bhengu was appointed by the Minister of Health to serve on the Pharmaceutical Pricing Committee Working Group in 2002. In 2016 Dr Bhengu completed the WHO Advanced Course on Health Financing for Universal Coverage for Low and Middle Income Countries, and the Africa Directors Programme offered by the Stellenbosch and INSEAD business schools. Dr Ntuthuko Bhengu is a Fellow of the Africa Leadership Initiative. David Porteous has been involved in finance inclusion initiatives internationally for more than two decades. He has held executive roles in public and private financial institutions in Africa, and is the founder and CEO of BFA (www.bankablefrontier.com), a consulting firm based in Boston. The firm provides specialist research, policy and strategy advice to financial providers, financial regulators and policymakers, bi-lateral and multi-lateral donors and private foundations around the world. BFA seeks to optimize return on its triple bottom lines of positive financial return and positive social impact on end customers and on the knowledge base in the sector. He is also the Chair and co-founder of the Digital Frontiers Institute, a non-profit professional capacity building network in digital financial services internationally based in Cape Town, South Africa. He received his bachelor’s degree in Accounting from University of Cape Town, and later obtained an M.Phil in economics from Cambridge and a PhD (Economics) from Yale. Ed is the co-founder and Managing Director of Intrepid HR. Following a career in finance and investment advisory, in 1990, Ed joined Hays, a global financial markets recruitment business in London. In 1996, recognising the Africa opportunity, Ed established Hay’s Africa branch in South Africa to understand and service the African market. 5 years later Intrepid HR was born to focus exclusively on Africa. We are a successful pan African Executive Search firm with 20 years experience across the continent. Our clients are the leading Investment Banks, Fund Managers and Private Equity Firms across the region. We also assist our financial markets clients develop and optimise their Private Equity and Venture Capital investments made into high growth African businesses and Infrastructure opportunities. Africa’s FinTech sector has been experiencing rapid growth, and the innovation achieved is now contributing significantly to the global development scope of the sector. Myself and my team have developed a deep understanding and insight into assisting CEO’s build their business. In addition to leadership acquisition for our clients we also have great sight of career opportunities for MBA’s across the continent. We look forward to sharing our insights on the FinTech and Careers/Moving Back panels. Omokehinde Adebanjo is the Vice President and Area Business Head for West Africa, Mastercard. Based in Nigeria, Omoke is responsible for advancing acceptance and issuance of Mastercard payment products in Nigeria and other English-speaking countries in West Africa. Prior to her appointment as Area Business Head, Omoke fulfilled the role of Vice President for Business Development in the West African region. Before joining Mastercard, Omoke was employed by the Guaranty Trust Bank (GTBank), where she spent four years as the Head of Cards and Product Development. Prior to GTBank, she worked at Econet (now known as Airtel). She holds an MBA from the Lagos Business School, and completed her undergraduate studies at the University of Ibadan in Nigeria. Omoke is committed to introducing the benefits of a cashless society to Nigeria and the region, and focuses on building relationships with government, financial institutions and merchants to realise both the Mastercard vision of a world beyond cash, and the Central Bank of Nigeria’s goals to reduce the circulation of cash in the country’s economy. Shirley Gilbey is currently Head of Strategic Partnerships for Open Innovation at Barclays Africa Group Limited responsible for driving collaboration with leading corporates aligned with a progressive innovation agenda and a desire to work with the world’s best and brightest start-ups and experts to co-create the future of Barclays Africa. A founding member of Rise in Africa , the global platform which operates a network of connected sites in seven of the world’s top Fintech ecosystems, leveraging the community where the most innovative and exciting start-ups develop, collaborate and scale together. Shirley also manages the Barclays Accelerator in Cape Town responsible for identifying opportunities for the selected startups to collaborate with the Barclays Africa’ businesses across the continent. Passionate about the entrepreneurial space with a strong belief in the power of public-private partnership and with specific interest in the formation and scaling of the ecosystems that attract and add value to both early stage startups seeking market traction, as well as late stage start-ups looking to scale. Shirley is a qualified Management Consultant with business coachingexperience as lead mentor to the SME entrepreneurs within Worley Parson’s supply chain as part of the Lean Enterprise Acceleration Programs Coupling a strong academic background and having started her career in a clinical laboratory start-up, Shirley took that venture capital-backed companythrough a successful exit prior to completing her MBA at Leeds University Business School in the UK with the goal of redirecting her career to focus on supporting entrepreneurship and SME growth in her native South Africa. Her thesis was a comparative study between South Africa and the United Kingdom looking at how SME funders make investment decisions and support ventures post investment. The internal co-founder of the Barclays Digital Academy in Johannesburg, Shirley believes that Africa has the brightest talent to solve for our unique African challenges and looks forward to working with organizations focused on the growth and scale of entrepreneurs across the continent. Stephen is the Investment Officer for DFS Lab and manages its startup pipeline and investment strategies. Backed by the Bill and Melinda Gates Foundation, DFS Lab is an early-stage incubator that helps high potential entrepreneurs refine, grow, and launch fintech startups in developing countries using business models that empower the poorest profitably, and at scale. Previously, Stephen worked with the Financial Services for the Poor team at the Bill & Melinda Gates Foundation providing research and grantmaking strategy for the team’s technology innovation portfolio. He started his career in Silicon Valley supporting the intellectual property strategies of clients in the consumer technology, telecommunications, and healthcare sectors. Stephen earned his MBA from the Haas School of Business and his BA in Economics and International Political Economy, both from the University of California at Berkeley.